Branded residences are gaining ground globally, propelled primarily by the coming together of real estate developers and hotel operators to meet the rising demand for luxury high rise living by an expanding ultra-wealthy market. According to the 2019 Branded Residences Report, a Knight Frank Global Research report, the preferences of the wealthy are diversifying offerings in the market. To date, there exist over 400 branded residences around the world and about 30% of these are in Asia. Aside from the prestige in adopting this new kind of address, the report shares that interest in branded residences has skyrocketed for factors to do with developer quality, services, physical amenities, building maintenance and management, and investment yield potential. All of which are offered in these taller and newer landmarks, attracting higher premiums compared to generic residences with price differentials of up to 132% in some parts of Asia. In the Philippines, Federal Land Inc., a prime real estate company driving industry growth for 47 years has moved aggressively in this market, investing in building luxury high-rise homes with internationally-acclaimed names in hospitality. Its most recent offering is Grand Hyatt Manila Residences, a two-tower luxury residential development, adjacent to Grand Hyatt Manila hotel. The condominiums and the hotel bearing the brand of Grand Hyatt serve as the icons of Grand Central Park, Federal Land’s 10-hectare mixed use development featuring the most upscale residential, business, commercial and retail establishments in North Bonifacio Global City, Taguig. The move to develop condominiums that solely carry the Grand Hyatt brand in Southeast Asia is a response to the next wave of luxury residents, going beyond the amenities and services and extending to 5-star experiences that separate this form of living into a completely new category. The launch of Grand Hyatt Manila Residences South Tower, the second tower, draws buyers by leveraging its success from the first tower and harping the value proposition of hotel-like living expressed in terms of the building’s design that melds style and functionality; spacious units; thoughtful amenities; and resident support such as concierge, housekeeping and security services for utmost comfort and convenience. Pushing the bar of premium living, Grand Hyatt Manila Residences homeowners also get easy access to more luxurious offerings at Grand Hyatt Manila hotel, plus a highly coveted Globalist Membership to the World of Hyatt Loyalty Program, which affords special privileges like priority room bookings and reservations at the hotel’s prestigious restaurants like The Grand Kitchen, The Cellar, The Lobby Lounge, No. 8 China House, and The Peak. Buying into this luxury and exclusivity requires an investment of about P360,000 per square meter for two bedroom and three bedroom unit options. Grand Hyatt Manila Residences South Tower is a low density condominium of three zones, limited to 188 spacious residential units. Three-bedroom configurations go as far as adding in a den and private garden space for some units. Exclusivity increases as one goes higher - eight units for low zone, four units for mid zone, and two units for high zone. Residents can expect innovative eco-friendly functions and customized furnishings, European no less, within the space. This new standard of living set by branded residences for the affluent is seen to further grow in the country. 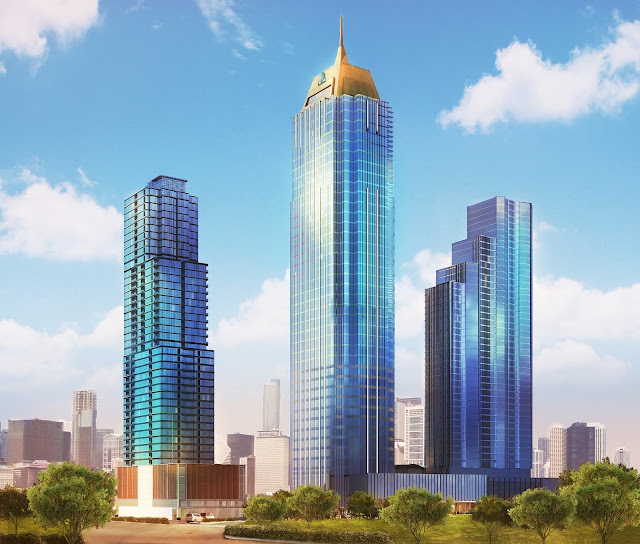 Federal Land, being among the first to recognize and set this trend locally, is fully committed to continuing its investment in this category through Grand Hyatt Manila residences South Tower. To know more about Grand Hyatt Manila Residences South Tower, visit http://www.grandhyattmanilaresidences.com.ph or come by its showroom at the ground floor of Grand Hyatt Manila Residences, 8th Ave. cor. 36th St. Grand Central Park, North BGC, Taguig City.